Video optical transceivers are primitively used in radio and television industry. It mainly includes two series: video SFP module or video SFP+ transceiver. Then today’s topic will be involved in types and applications of SDI video SFP optical transceiver in this post. SDI SFP optical module and its related products are initially designed for the radio and television industry, applied for the television studio, animal filming, film shooting, large sports events live. It is extended to the 1080 PHD monitoring field. SDI SFP optical module is usually used on the SDI interface of the HD-SDI terminal device. The transmission rate and frequency for each different SDI interface are different. SDI Video SFP transceivers can be divided into various types according to different factors. 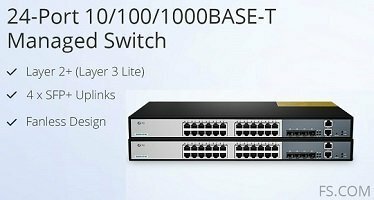 For example, on the basis of operating wavelength, they can be divided into 1310nm, 1490nm, 1550nm and CWDM wavelengths video SFP transceivers; based on transmission distance, there are 300m, 2km, 10km, 20km, 40km; based on operating rate, there are usually 3G-SDI, 6G-SDI and 12G-SDI SFP optical module. 3G-SDI video SFP optical transceivers have a data rate up to 3Gbps, which are specifically designed for high performance in the presence of SDI pathological patterns for SMPTE 259M, SMPTE 344M, SMPTE 292M, and SMPTE 424M serial rates. They are generally used for television broadcasting. However, as technology advances, they are now also widely applied in global security applications such as high-end surveillance or unmanned systems, allowing simple designs or upgrades with full HD cameras. 6G-SDI video SFP optical transceivers’ data rate is intended to be twice as fast as 3G-SDI optical modules, which means it is supposed to deliver a payload of 6Gbps. Therefore, they are not only designed for SDI pathological patterns for SMPTE 259M, SMPTE 344M, SMPTE 292M, and SMPTE 424M serial rates but also for SMPTE 2081. 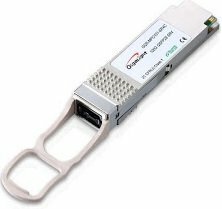 6G-SDI SFP optical module optical transceivers are often used in the camera, video, security monitoring applications, and 4K /HDTV/SDTV service interfaces. Speed up to 12Gbps, 12G-SDI video SFP transceivers are specifically designed for high performance in the presence of SDI pathological patterns for SMPTE 259M, SMPTE 344M, SMPTE 292M, SMPTE 424M, ST2081 and ST-2082 serial rates. They are mainly used for SMPTE ST-297-2006, ST-2081 and ST-2082 compatible electrical-to-optical interfaces and UHDTV/HDTV/SDTV service interfaces. There are usually multiple HD end-devices in HD camera or monitor system. Therefore, one HD video matrix can be used as one end which provides multiple video SFP ports, and multiple HD-SDI equipment can be used as the other ends. 3G-SDI SFP transceiver is plugged into the equipment respectively, then SDI SFP transceivers on both ends are connected via fiber optic cables. 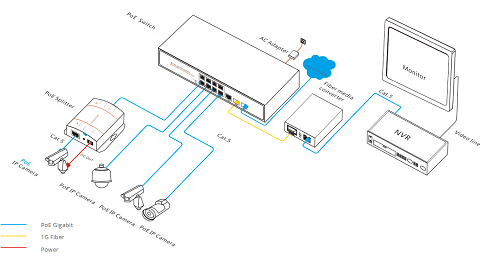 Broadcast video transmission needs high-density cabling. Thus, HD-SDI equipment with high-density video SFP ports is needed. Above all is about the introduction to types and applications of video SFP module, hoping this article can be helpful to those who want to know more about video SFP transceiver. In addition, for above-mentioned two series of video optical transceivers, Gigalight currently has these types: 3G-SDI SFP, 6G-SDI SFP+, 12G-SDI video SFP+. For more details, pls visit Gigalight official website. ← Do You Know These about Cloud Computing Data Center?